PBX systems connect enterprises and the public switched telephone network (PSTN). Initially deployed for cost savings on internal phone calls, PBXs gained popularity as they started offering a wide variety of services unavailable in the operator network such as call forwarding, extension dialing, auto dialing and call waiting. Surf’s unique architecture enables the development of a cost-effective, feature-rich iPBX. 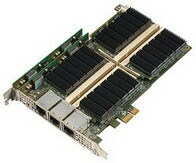 Highly scalable, the same platform can support low to high densities (8-1,000 ports). The open platform enables seamless integration of telecom equipment manufacturers' proprietary codecs. 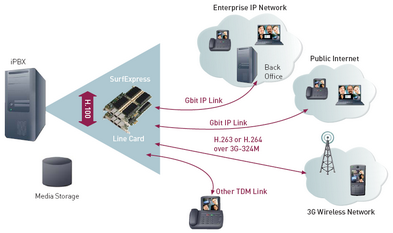 Surf's PCIe and DSP-level solutions have unique advantages that specifically meet iPBX requirements.